White Russians Eugene, Ilia and Katherine Seiz in Harbin, China, 1940s. Reproduced courtesy Natalie Seiz and Andrew Seiz. One of the things I find most interesting about Australia’s immigration history is how political events and uprisings on the other side of the world can have a flow-on effect and shape our own history. Take for example the October Revolution in Russia, which occurred 100 years ago today on 7 November 1917 (or 25 October in the old Julian calendar) and would lead to the exodus of the refugees known as White Russians or white émigrés. There were two Russian revolutions in 1917. The first was known as the February Revolution (March in the new Gregorian calendar) and was focused around then-capital Petrograd (now Saint Petersburg). This uprising was a consequence of long-term political, social and economic instability in Russia, further compounded by the turmoil of the First World War, and resulted in the abdication of Tsar Nicholas II and the collapse of the Russian Empire. The second revolt was the October Revolution, when the Bolshevik Party led by Vladimir Lenin overthrew the Russian Provisional Government that had assumed control after the February Revolution. This would trigger the Russian Civil War, fought mainly between the Bolshevik Red Army and the counter-revolutionary White Army. It would pave the way for the eventual establishment of the Union of Soviet Socialist Republics (USSR) in 1922. 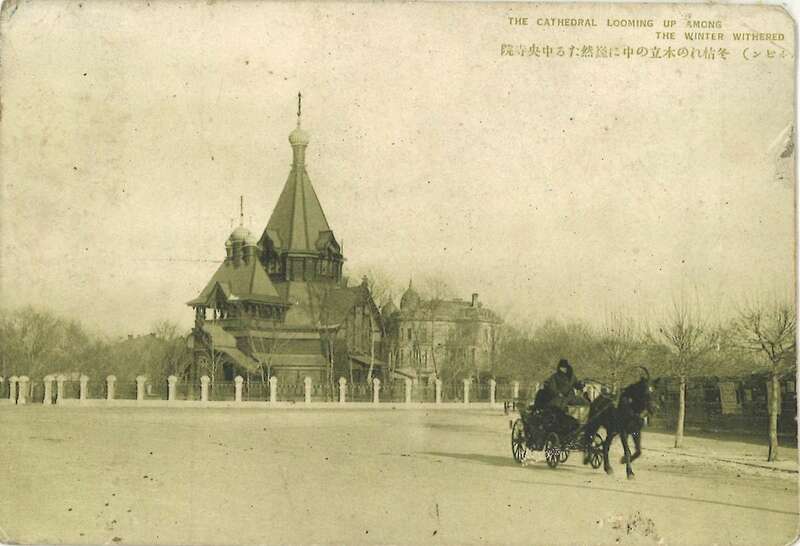 Postcard of Harbin Cathedral, c 1940. ANMM Collection Gift from Natalie Seiz and Andrew Seiz ANMS1447. White Russians Ilia Seiz Ptrosrnia (1890–1962) and his wife Katherine Filatoff (1905–1990) fled to China in 1918, in the wake of the Bolshevik Revolution and the Russian Civil War. In 1919 Ilia co-founded the English Language School in Harbin, Manchuria. By the mid-1920s, this northern Chinese city would become home to one of the largest Russian diaspora communities in the world, until the Japanese occupation in the 1930s drove many to seek refuge elsewhere. Ilia helped Russians in Harbin to apply for visas for Australia and South America, but was harassed by the police and branded a spy working for Britain and the United States. 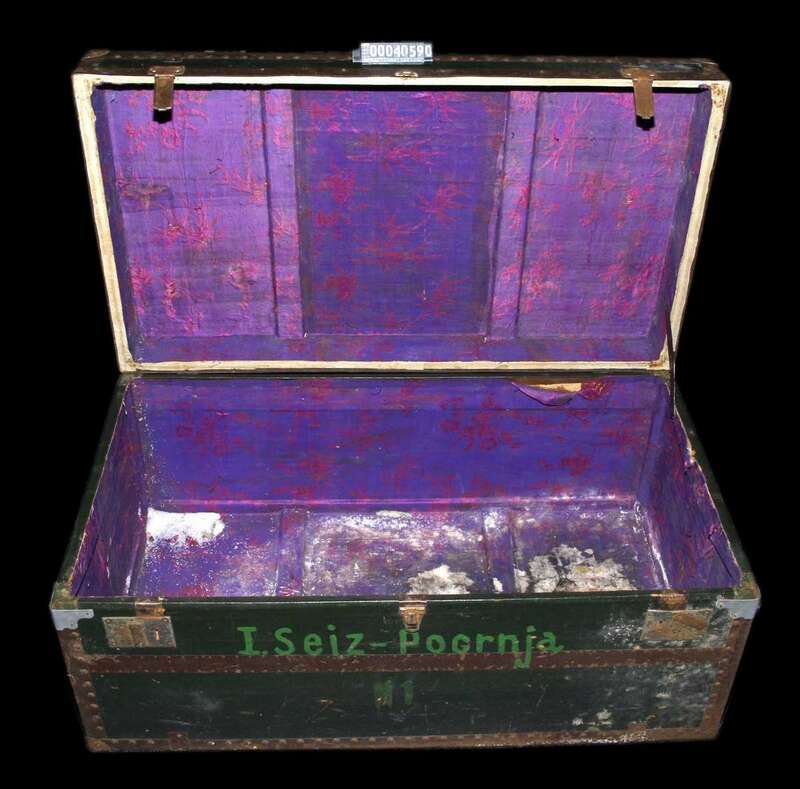 Travelling trunk belonging to the Seiz family, c 1955. ANMM Collection Gift from Natalie Seiz and Andrew Seiz 00040590. 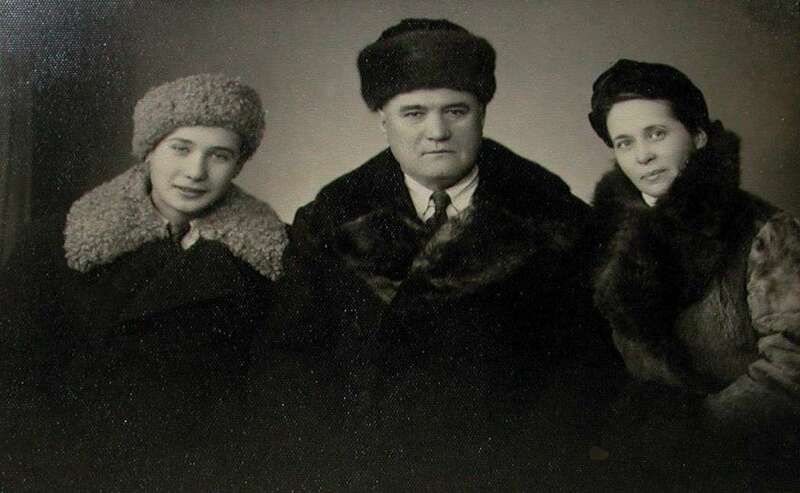 Ilia, Katherine and their only son Eugene (1929–1979) were forced to flee Harbin following the Communist revolution and establishment of the People’s Republic of China in 1949. 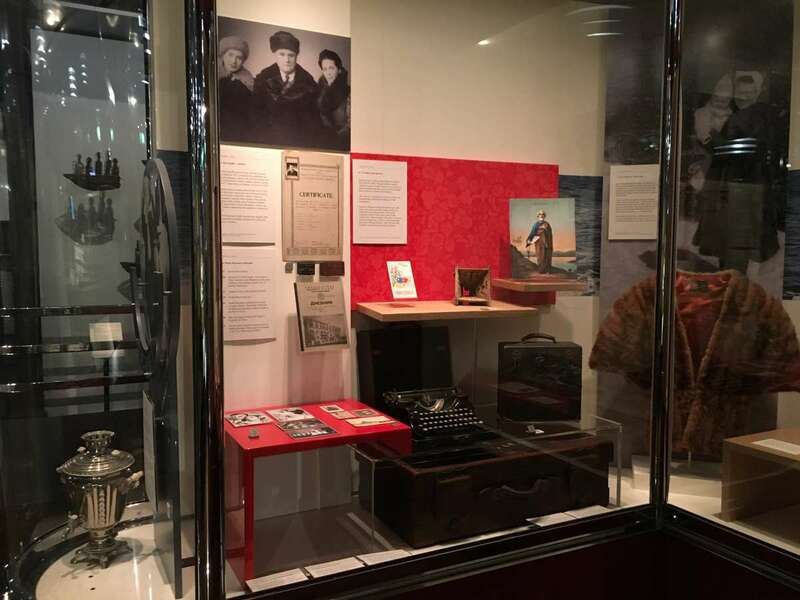 They packed their precious belongings – Russian vinyl records, photographs, and stamps and language books from the English school – into a Chinese silk-lined trunk, now part of the museum’s collection and displayed in our Passengers Gallery. Stateless – the story of the Seiz family on display in the Passengers Gallery. In 1955 a Russian family in Sydney sponsored the Seiz family’s migration to Australia on the Royal Interocean liner SS Tjibadak. When they arrived, the word ‘stateless’ was stamped on their immigration papers, even though the family had lived in both Russia and China. In Sydney, Ilia worked as a trimmer at the Dunlopillo factory in Bankstown, Katherine found work in the kitchens at the Imperial Service Club in Barrack Street, and Eugene established a real estate agency. 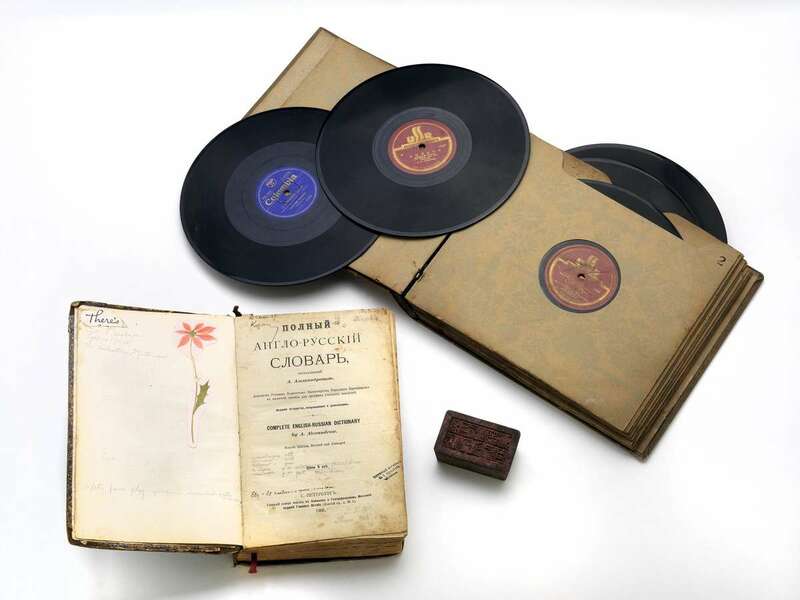 English-Russian dictionary, 1905; Russian record album, late 1800s–early 1900s; Chinese character stamp from English Language School, Harbin, 1919–1942. ANMM Collection Gift from Natalie Seiz and Andrew Seiz 00040586 00040582 00040599. In Australia Katherine would listen to her classical records, such as the Debussy Preludes, as reminders of a distant life in Saint Petersburg. Her granddaughter Natalie remembers, ‘She was nostalgic about Saint Petersburg and living there. Russia was always home … I don’t think she ever really felt she belonged [in Harbin] in the same way that she did in Russia.’ Katherine was an active member of the Russian Orthodox congregation in Sydney, particularly the Croydon church attended by the White Russians displaced by the 1917 Revolution.